Home » Health » What Is Diphteria? Diphteria is a bacterial infection that generally attacks the mucous membranes in the nose and throat, and sometimes can affect the skin. This disease is very contagious and includes serious potentially life-threatening infections. Inhalation of the patient's spit in the air when the patient sneezes or coughs. This is the most common method of transmission of diphtheria. Items that have been contaminated by bacteria, for example toys or towels. Direct touch on ulcer wounds due to diphtheria in the patient's skin. This transmission generally occurs in patients who live in densely populated environments and their cleanliness is not maintained. Diphtheria bacteria will produce poisons that will kill healthy cells in the throat, eventually becoming dead cells. These dead cells will form a gray membrane (thin layer) in the throat. In addition, the toxins produced also have the potential to spread in the bloodstream and damage the heart, kidneys and nervous system. Sometimes, diphtheria may not show any symptoms so the sufferer does not realize that he is infected. If they do not undergo proper treatment, they have the potential to transmit the disease to people around them, especially those who have not received immunization. 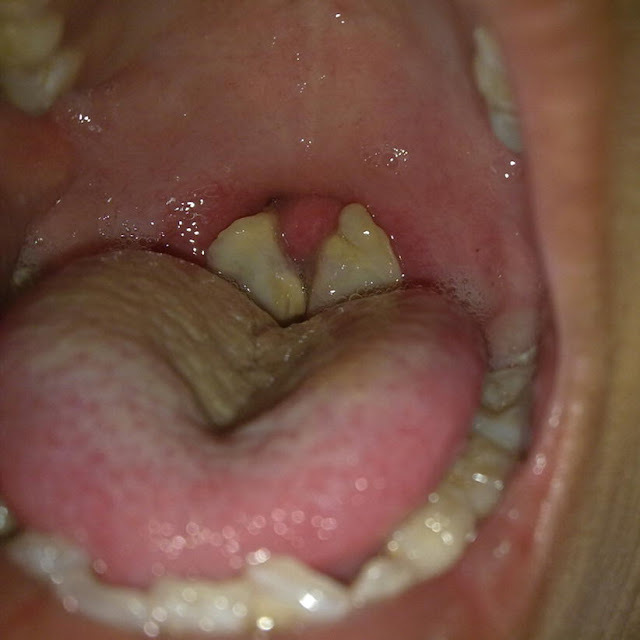 The formation of a thin, gray layer covering the throat and tonsils. Difficulty breathing or rapid breathing. Cold. It was initially liquid, but eventually became thick and sometimes mixed with blood. Diphtheria can also sometimes attack the skin and cause sores such as ulcers. The ulcer will heal within a few months, but usually will leave marks on the skin. Immediately consult a doctor if you or your child shows the symptoms above. This disease must be treated as soon as possible to prevent complications. To make a diagnosis of diphtheria, the doctor will initially ask questions about the symptoms experienced by the patient. Doctors can also take samples from mucus in the throat, nose, or ulcer on the skin to be examined in the laboratory. If someone is suspected of contracting diphtheria, the doctor will immediately start treatment, even before laboratory results. The doctor will encourage him to undergo treatment in an isolation room at the hospital. Then the treatment step will be done with 2 types of drugs, namely antibiotics and antitoxin. Antibiotics will be given to kill bacteria and cure infections. The dose of antibiotic use depends on the severity of the symptoms and the duration of the patient suffering from diphtheria. Most sufferers can get out of the isolation room after taking antibiotics for 2 days. But it is very important for them to continue to take antibiotics according to the doctor's recommendations, namely for 2 weeks. Patients will then undergo a laboratory examination to see whether there is diphtheria bacteria in the bloodstream. If diphtheria bacteria are still found in the patient's body, the doctor will continue using antibiotics for 10 days. Meanwhile, the administration of antitoxin serves to neutralize diphtheria toxins or poisons that spread in the body. Before giving antitoxin, the doctor will check whether the patient has an allergy to the drug or not. When an allergic reaction occurs, the doctor will give a low dose of antitoxin and slowly increase it while looking at the development of the patient's condition. For patients who have difficulty breathing due to gray membrane blockages in the throat, the doctor will recommend the process of removing the membrane. While patients with diphtheria with symptoms of ulcers on the skin are recommended to clean boils with soap and water carefully. In addition to sufferers, people who are nearby are also advised to see a doctor because this disease is very contagious. For example, a family living in a house or a medical officer who handles diphtheria patients. The doctor will advise them to take the test and give antibiotics. Sometimes a diphtheria vaccine is also returned if needed. This is done to increase protection against this disease. The treatment of diphtheria must be done immediately to prevent the spread as well as serious complications, especially in sufferers of children. It is estimated that 1 in 5 sufferers of toddlers and elderly people over 40 years die from complications of diphtheria. Respiratory problems Cells that die from toxins produced by diphtheria bacteria will form a gray membrane that can inhibit breathing. Membrane particles can also decay and enter the lungs. This has the potential to trigger an inflammatory reaction in the lungs so that its function will decrease dramatically and cause respiratory failure. Heart damage. In addition to the lungs, diphtheria toxin has the potential to enter the heart and cause inflammation of the heart muscle or myocarditis. These complications can cause problems, such as irregular heartbeat, heart failure , and sudden death. Nerve damage. Toxins can cause sufferers to experience problems with difficulty swallowing, urinary tract problems, paralysis or paralysis of the diaphragm, and swelling of the nerves of the hands and feet. Paralysis of the diaphragm will make the patient unable to breathe so that it requires a breathing apparatus or respirator. Diaphragmatic paralysis can occur suddenly at the onset of symptoms or weeks after the infection has healed. Therefore, diphtheria sufferers of children who experience complications are generally advised to stay in the hospital for up to 1.5 months. Hypertoxic diphtheria. This complication is a very severe form of diphtheria. In addition to the same symptoms as regular diphtheria, hypertoxic diphtheria will trigger severe bleeding and kidney failure. The most effective preventive step for this disease is with vaccines. Prevention of diphtheria is incorporated in the DTP vaccine. This vaccine includes diphtheria, tetanus, and pertussis or whooping cough. The DTP vaccine is included in mandatory immunization for children in Indonesia. Provision of this vaccine is carried out 5 times when the child is 2 months, 3 months, 4 months, one and a half years, and five years. Then can be given a booster with a similar vaccine (Tdap / Td) at the age of 10 years and 18 years. The Td vaccine can be repeated every 10 years to provide optimal protection. If DTP immunization is late, immunization given chases will not repeat from the beginning. For children under the age of 7 who have not done DTP immunization or have incomplete immunizations, they can still be given a chase immunization with a schedule according to your child's doctor's advice. But for those who are 7 years old and have not yet completed DTP vaccines, there is a similar vaccine called Tdap to give. Such protection can generally protect children against diphtheria for life. 0 Response to "What Is Diphteria?"